Vimanas are ancient aircraft described in Indian Mythology and chronicled in Vedas. The Vedas were a collection of ancient Indian epics and scriptures and contained references to these glorious airplanes known as Vimanas. The Vimanas are described throughout the texts not only describing their flight characteristics but also the powerful weapons they harbored. While no physical evidence of these Vimanas exist today, historians describe this Vedic literature as perhaps the first form of science fiction. Ancient alien theory proposes that the Vimanas were actual ancient alien flying machines witnessed and described by Indian authors observing extra terrestrial craft. The craft described in the Vedic texts contain references to both flying craft and ancient weapons used by both gods and demons. 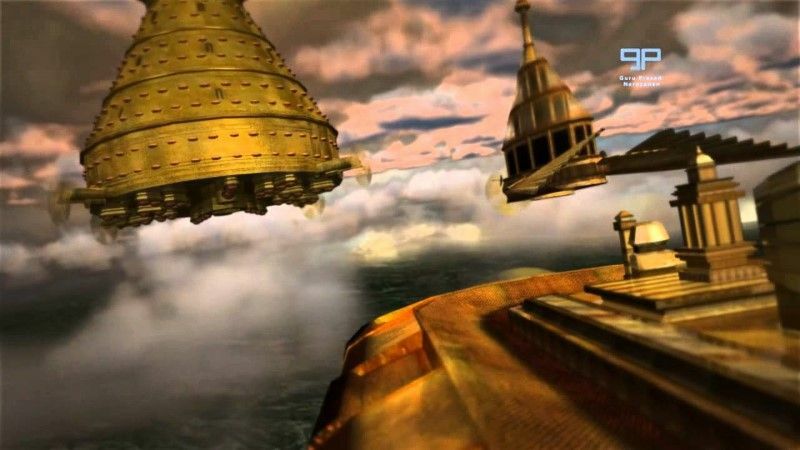 Another account in the Mahabharata (another Sanskrit Hindu Epic) the king, Asure Maya (sounds similar to the Zoroastrian God Ahura Mazda), had a Vimana that measure 12 cubits and was equipped with blazing missiles and 4 wheels. One of the most amazing pieces of evidence for ancient alien theorists is the actual description of the construction of the Vimana contained in the Sanskrit Samarangana Sutradhara. The preceding text contains some remarkable notes. The technology described seems far beyond the knowledge of the ancient people of Indian. Mercury for example is a rare element used in modern thermometers, medicine, and florescent lighting. Additionally, the text describes human beings as using these Vimanas as well as these heavenly beings (possibly extra terrestrial beings). Like many other mythological tales of gods and chariots, Ancient Aliens theorists purpose that this is actual evidence of ancient aliens contacting and directly influencing ancient civilization(s). With further examination of this literature, it seems like the people of ancient India were depicting more than just a fictional tale of their gods and demons. Ancient Aliens theorists truly believe this is one of the most concrete evidence of past ancient aliens influence on ancient planet earth and its inhabitants.